Whether it’s a matter of content or subgenres, A Tribe Called Red’s We Are the Halluci Nation creates consistent bombardments of visceral hybrids throughout its 50-minute runtime. On standout track “R.E.D” the group weaves traditional chanting and drums with Yasiin Bey’s (Mos Def) trademark delivery to staggering effect. “Sila” similarly finds collaborative potency, as breaking drums sit behind Tanya Tagaq’s throat singing vocals. 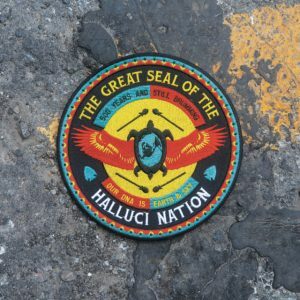 On “The Virus” the group perfectly executes their craft, combining the striking spoken word verse of Saul Williams with traditional performance of the Chippewa Travellers. Taken together, We Are the Halluci Nation represents a group of artists at their peak, delivering high energy hybrids unlike anything currently being produced.